This press is great. 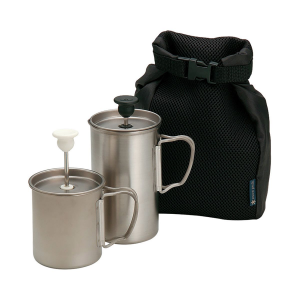 Weighing in at a little over 6 oz, why not have fresh coffee in the backcountry? 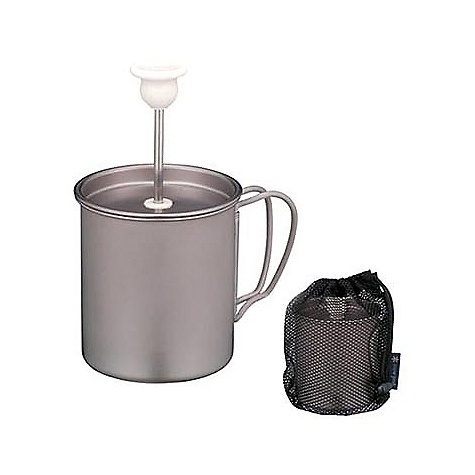 It now doubles as my cook pot on overnighters and I store my Snow Peak Titanium Stove right in the press, along with my coarse ground coffee of choice. Recommended. Hard to clean all the sediment off of the filter. expected. I got this press for Xmas this year. I love it. I love coffe at home and in the backcountry. 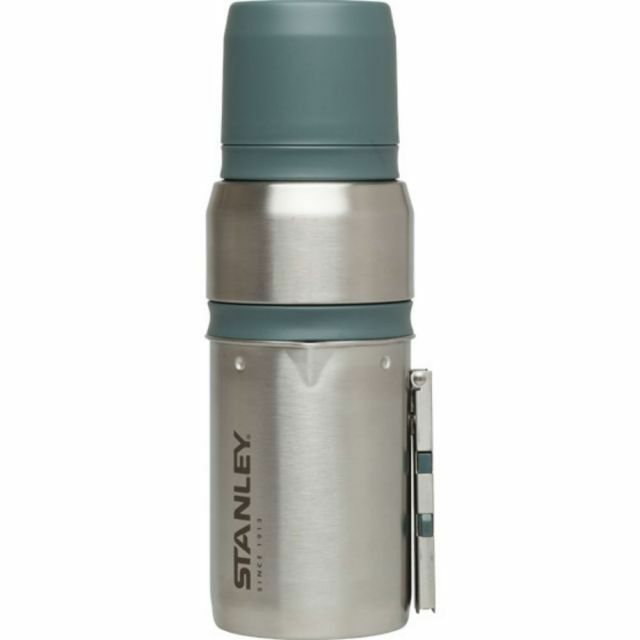 Now I can bring tasty coffee instead of instant. At 6oz. I don't mind the extra weight to have fresh coffee on the trail. 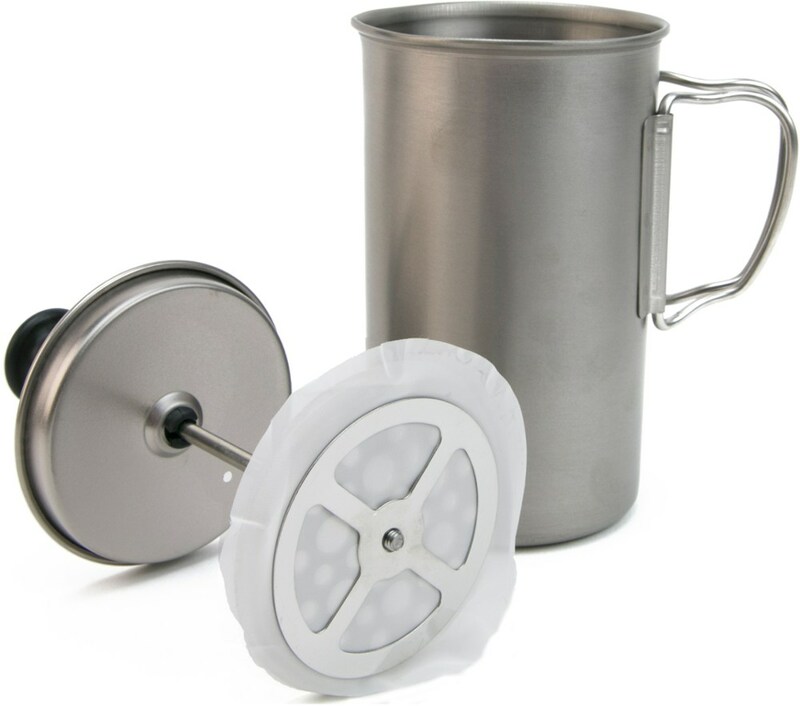 Leave the cook pot at home on overnight or weekend trips, this press will work fine for most meals. 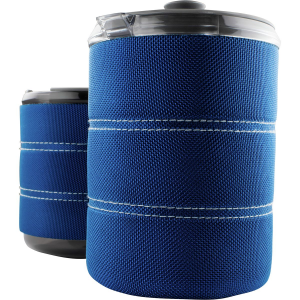 I use the system to store my coffee and Snow Peak Titanuim Stove. Bought this product at REI due to its light weight and quality of manufacture (Japan). 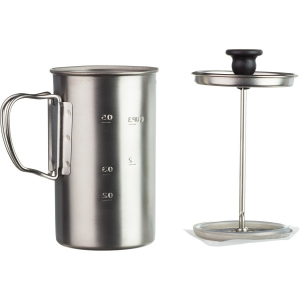 It worked very well for a few months in the office and home kitchen until I took it on its first camping trip. All it took was a bit of packing pressure for it to get out of round...and now it is difficult to keep the coffee poured free of grounds. One might as well go back to cowboy coffee. you have to make sure the pluger is straight and use coarse ground coffee.. i havent hsad this problem but i have read about this problem two time..
Caveat: this is not worth the money; you could buy a small family car for the price of one of these things in the UK. Having said that, how many opportunities does one get to feel like an outdoor aristocrat? This was given to me as a gift last year and I really enjoy it. I have only used it once outdoors but I use it every day in the house. I would probably use it in the summer for two or more people but being English, I drink my body weight in tea every day, so carrying this just for elevenses would be pushing it. 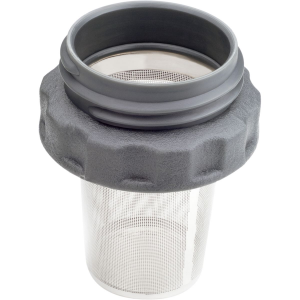 The coffee press comes with a plastic mesh over the metal sieve. At first I didn't like using this flimsy thing and removed it, thinking it would only get in the way and that the grind was coarse enough to make it redundant. However, it actually seals the press better as well as filtering and making the sieve slide easier along the side walls, so it is back on with no problems at all. As an aside, the Aeropress thing that I have has become quite useless: the rubber no longer slides easily, requiring a stupid amount of force. The coffee taste is a bit meh as well, compared to the press. Call me fickle.